Starting with arguably the best one in the whole set, the Custom Camaro in a gorgeous shade of rootbeer Spectraflame brown. Now i’m not a HUGE Camaro fan, but I do appreciate a nice one when I see it... and this one is definitely no exception. 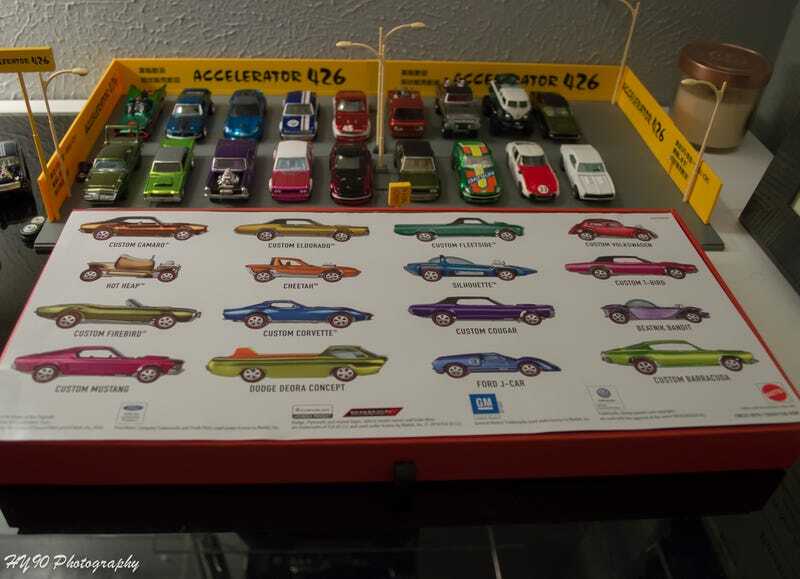 Now I gotta admit that this set was priced astronomically high...but given we all grew up on Hotwheels and the fact that my very first Hotwheels way yonder was a Original redline Mustang, I thought having a vital piece of Hotwheels history was a necessary sacrifice. Oh yeah. Lest us not forget the recent white Camaro, which is actually still available on Hotwheelscollectors!